The Winx Club tells the story of Five(and now six) fantastically fashionable teenage girls who use special powers to transform into magical fairies and save the day. Influenced by top Italian designers, the series ties together key girls topics of love, friendship, magic, music and fashion. In the magical world of Magix, five teenage friends attend the Alfea College of Fairies, a school for training aspiring fairies. Here, its not just about improving your magical powers, its also about expressing your super-stylish looks. 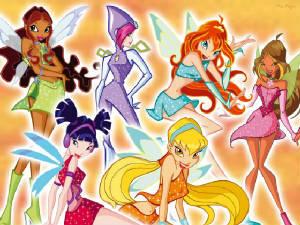 After all, if youre part of the Winx Club, you have to be an expert in the fashion of magic. 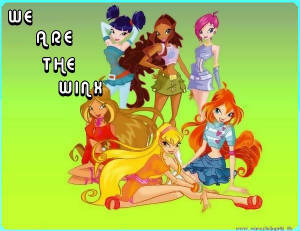 Meet the Winx Club - As the top fairies from all over the universe, theyve come together to study their craft. And along the way, theyve bonded as friends to form a strong unity that helps them overcome the challenges of being out-of-this-world teens. Each is as different as the corners of the unknown, the girls bring their individual powers to the club and to the battle against the witches from rival college of Cloud Tower. This storyline of girl-powered adventures is predicted to be the best new girl-targeted entertainment property this year.